You have a lot of transportation options for the Friendly Confines, and choosing the best way to get to Wrigley Field depends on both your budget and starting point (and mood, too). But with all due respect to my friends at CubParking, using the Chicago Transit Authority is the easiest way to get to the Friendly Confines, especially for first-timers to the ballpark. #1) The Red Line. Ah, the Red Line. 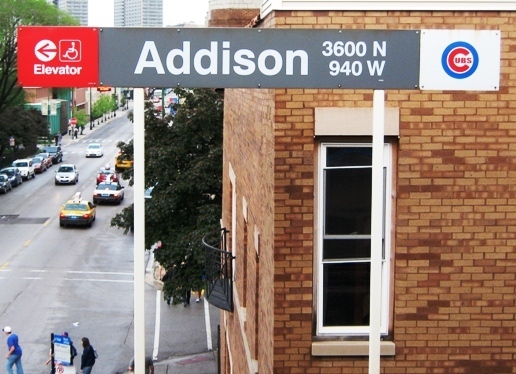 It may be packed to standing room level with Cubs fans and occasionally smell of urine, but you can’t beat the convenience…elevated trains stop at the Addison station, just steps away from Wrigley. The Red Line runs all night; coming from downtown Chicago it works quite well, and from a suburb like Skokie you can transfer from the Yellow Line. The Sheridan and Belmont stations are also close enough to walk to Wrigley if you’d like to get off a stop early or better your chances of finding a seat on the train after the game. 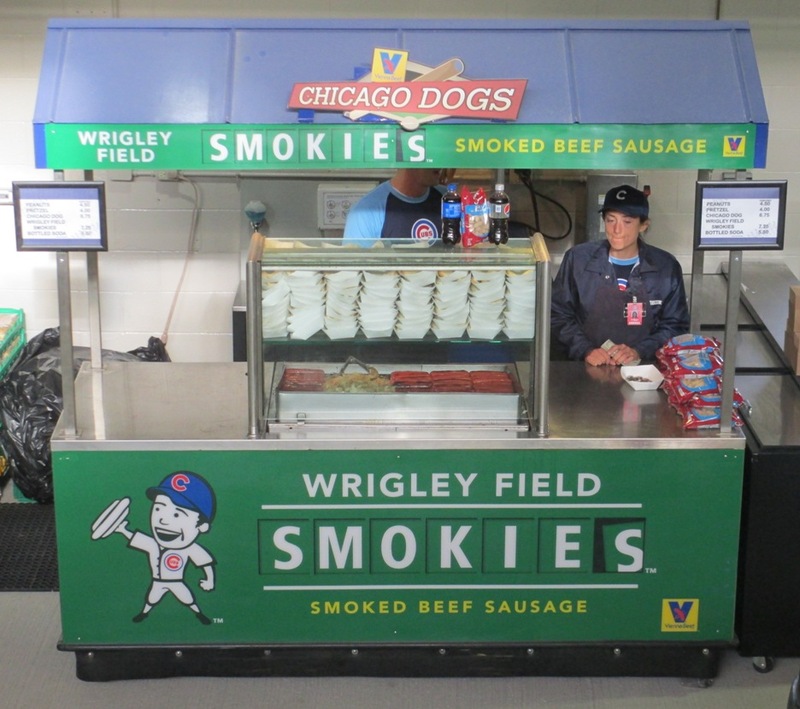 Belmont – the hidden station for smart Wrigley goers. 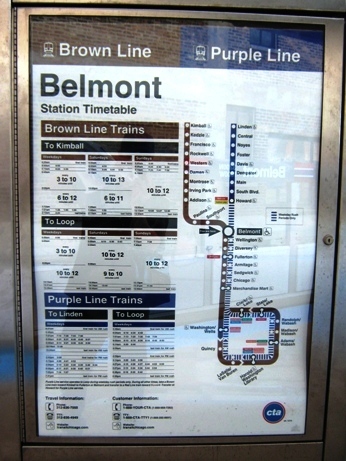 #2) The Brown Line. If you don’t mind a short walk (Google Maps clocks it at 15 minutes), the Brown Line is a quieter, less crowded alternative to the Red. The Southport and Belmont stations are less than a mile walk from Wrigley, you’ll probably have a seat and a smoother ride, and you can pass by some decent takeout places along the walk, like D’Agostino’s. The Brown doesn’t run all night though, so check the schedule. Not the same Addison station where Wrigley is. Don’t walk it from here. #3) The Blue Line/#152 Bus. 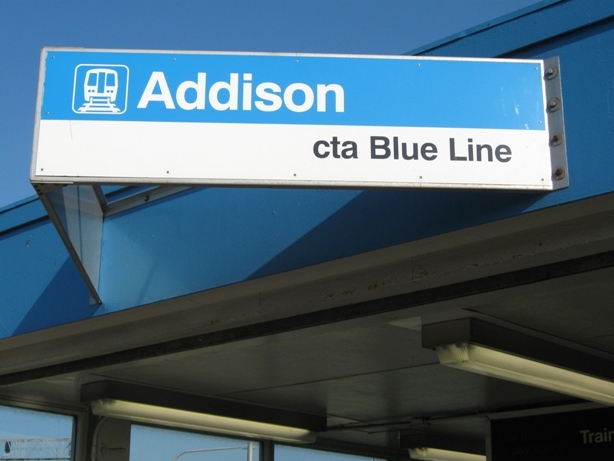 Coming from O’Hare and the Des Plaines area, you can use the Blue Line to Addison Station (different from the Red Line Addison Station), and then use the #152 Wrigley Express bus to get to the ballpark. Easy peezy, although I do suggest using the Irving Park Station and the #80 bus for a faster ride. That one involves some walking on Clark Street, however. The Blue Line option is great for visitors staying near the airport to save on hotel parking, as I often do. There you go, three simple public transit choices, still the best way to get to Wrigley Field for most people. But there are some cheaper and easier options too, and CubParking is a great choice for booking your parking if you decide to drive.